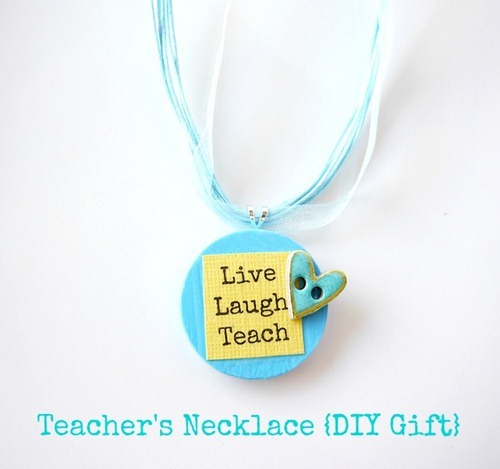 Score an A+ with this sweet teacher’s necklace! 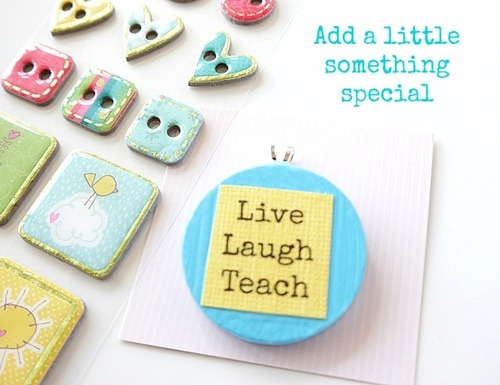 Share your appreciation with a handmade gift that’s sure to touch any teacher’s heart like they’ve touched yours in the past year. This necklace is simple and cute! 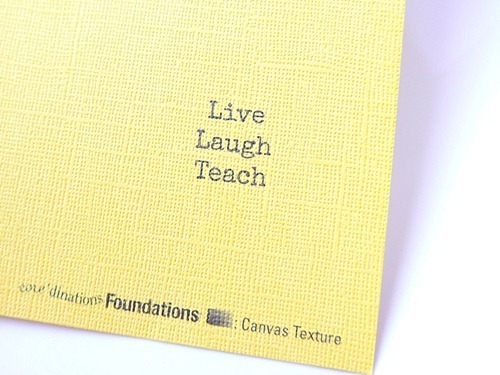 Create it with your child so they can customize it to fit their style. 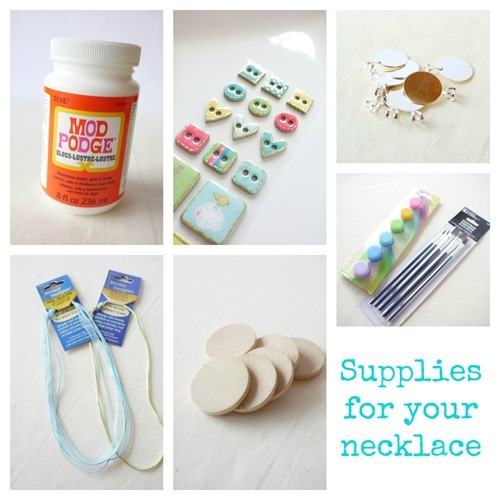 These supplies can easily be found at your local craft store. You might even have a few of these items at home already. 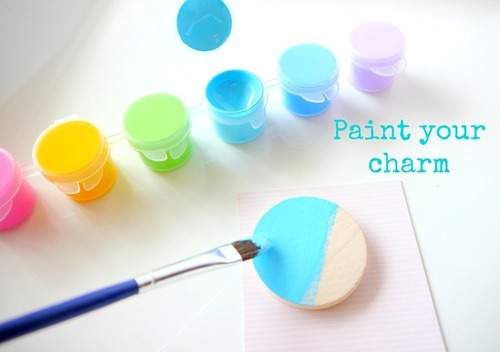 Start by painting your charm with a beautiful color. You can sand it…or not. I didn’t and it turned out fine. Let it dry and paint a second coat. Be sure to use thin coats and paint the edge. Print out or type your saying on regular white copy paper. 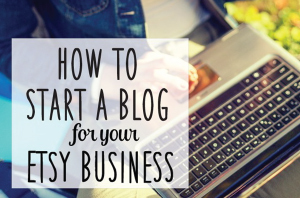 Copy it and reduce the size to fit your charm. Then copy it on you textured scrapbook paper. 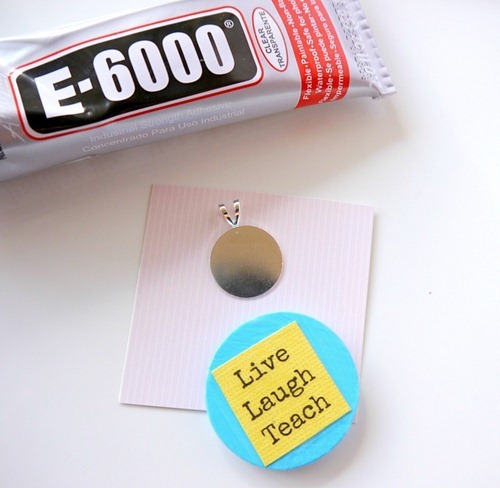 Once your charm is dry you can add your saying with a dab of Mod Podge. This will hold it in place while you work with it. 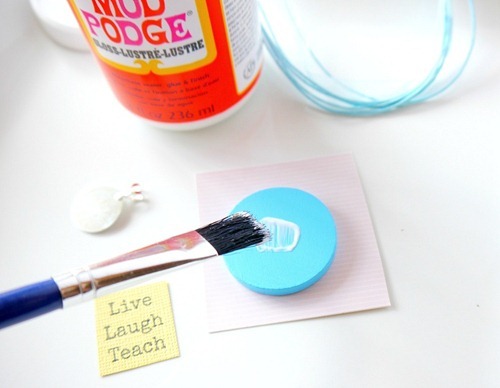 Wait a couple minutes and then apply a thick layer of Mod Podge to it. I went over the front and the edge of the charm. I only put one coat of Mod Podge. Let it dry a few minutes and then add a little something special. I used a shiny button scrapbook sticker, but I glued it to the top. 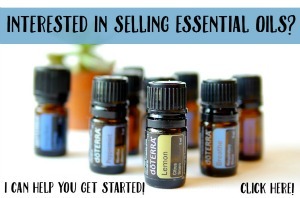 It’s simple and sweet! What do you think? You don’t have to spend a ton to make someone feel special. 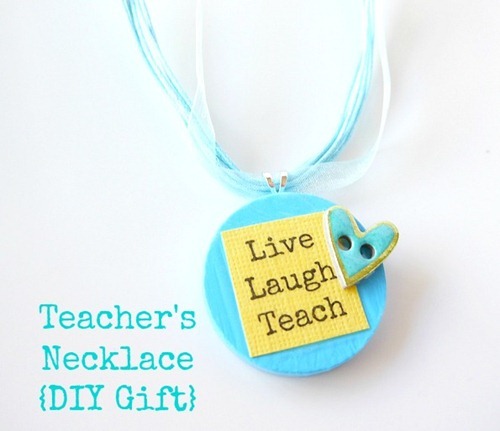 Handmade gifts are a beautiful way to create a treasured necklace for your child’s teacher this year. The possibilities are endless! I saw an amazing amount of cute stickers in the store that can be the inspiration you need to design your own charms. 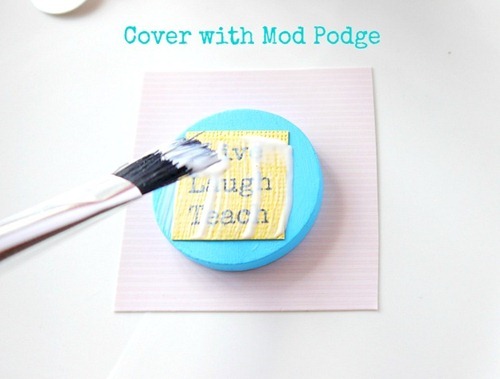 Have you used Mod Podge lately? I’d love to hear about what you made! That’s so cute!! 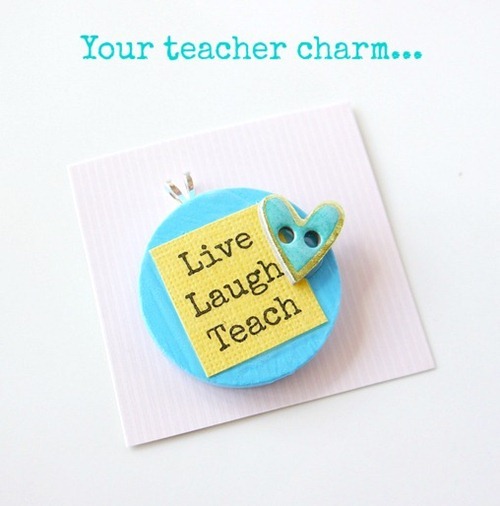 What a sweet gift for a teacher or anyone really. Love it! !